Here is One more jar of Goodness by Ryaal. 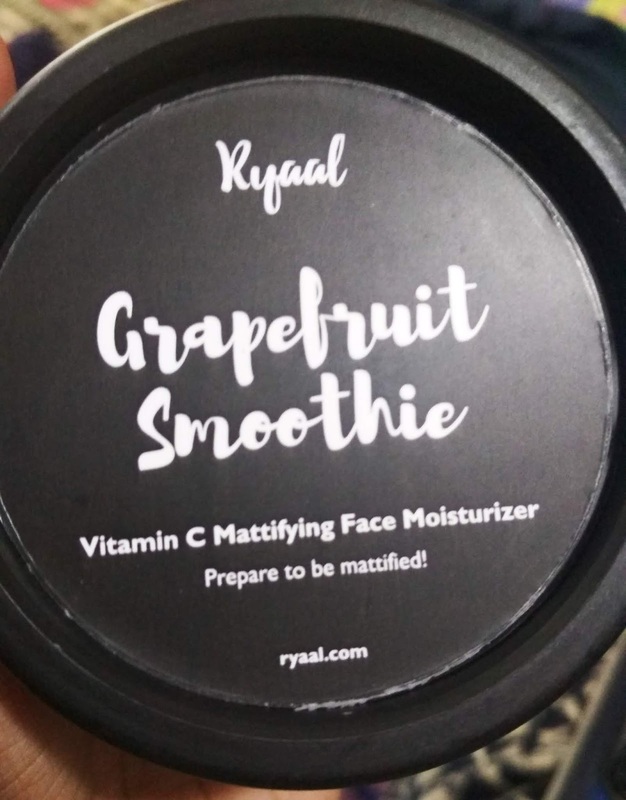 Grapefruit Smoothie, a mattifying Vitamin C moisturizer with the blend of Grapefruit, Cranberry, Orange, Aloe Vera, Rose and much more amazing organic ingredients!! it smells equally delicious and citrusy!! It is not at all greasy and extremely light on the skin. The moisturizer deeply nourishes the skin and prevents the formation of excess oil. It rejuvenates the skin and adds the much-needed glow on face. Its a very good moisturizer for not only oily skin but even other skin types too! It gives a perfect combination of Matteness along with Hydration!! 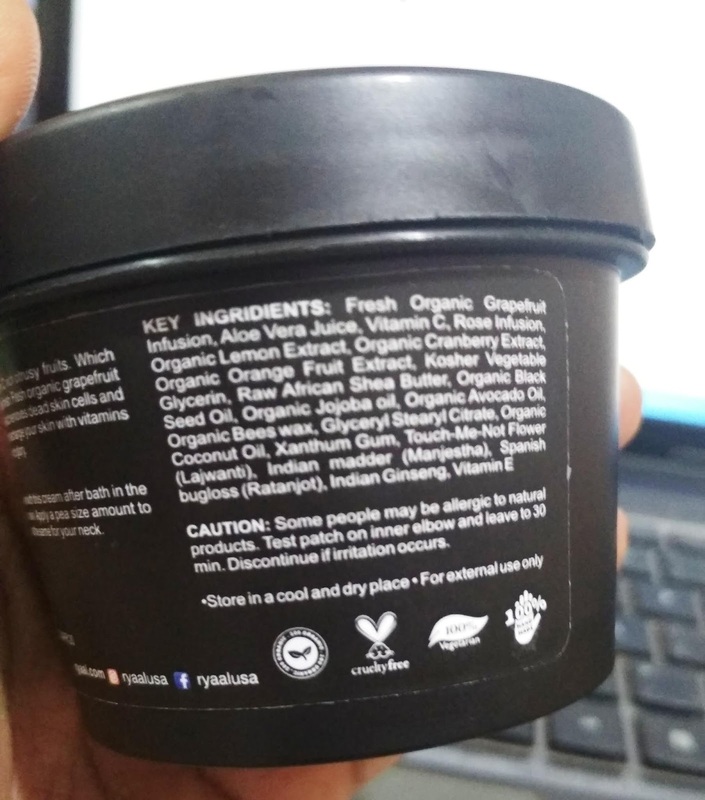 I have tried many moisturizer for oily skin....some provides oil free skin but fails at hydration and some fails to keep the skin matte. But this ensures a proper balance between the two. As soon as I apply it I can feel a boost of Hydration on my skin, and having a bit of Waxy consistency it blends and absorbs in skin super fast! Granted you take just a pea sized amount for Oily skin....Dry skin would love a bit more! I apply it mostly at night and wake up to a soft, glowing skin. Vitamin C in it woks great on pigmentation and scars so as per me it is a complete package of goodness! A must have moisturizer, if you want hydration without that oily sticky feel. The pack claims to make use of all fresh fruits, I definitely trust it. 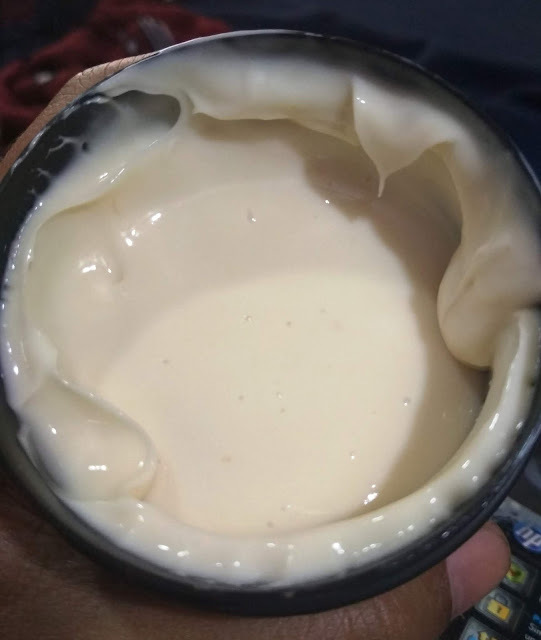 Skin feel changes and improve glow and remove all dry skin.Remove Dark spots and sun burn .A best face cream Try it out and you wont think otherwise!